Stamps are the perfect low-bulk embellishment for any project! This month, the Creative Team put the Tucker Alpha and Top Ten stamp set to work with their Holland Park Kits to create gorgeous projects. Take a look below at what they did with these two versatile stamp sets! Looking for a clean, classic alpha you’ll reach for time and time again? Look no further than the Tucker Alpha stamp set! 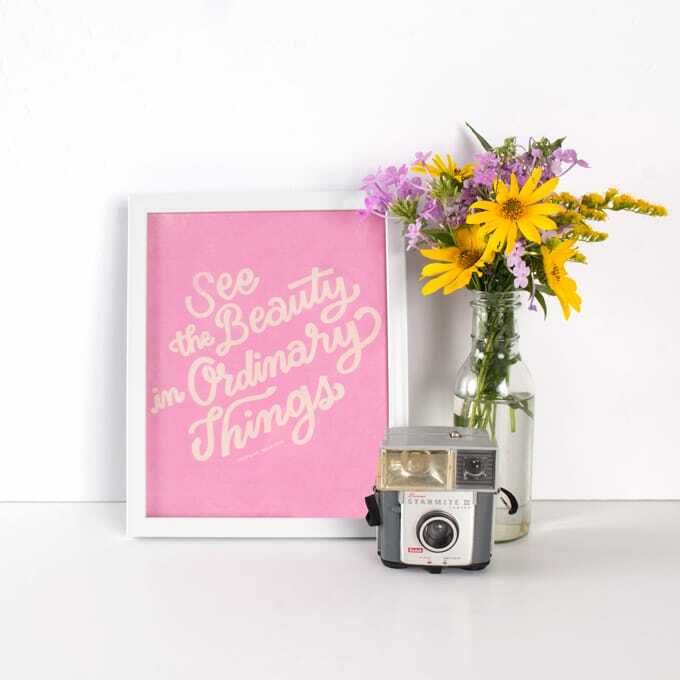 This versatile font is perfect for any project and guaranteed to never go out of style. Haley used the bold Tucker Alpha to stamp out the vertical title on her spread, Currently. Her simple black ink choice ties in with the black accents across her pages! On her project, So Good, Sarah stamped her stunning title in the center of her left page using the Tucker Alpha stamp set. This font pairs perfectly with the Holland Park stamp subscription set. Lisa gave her Tucker Alpha title a two-tone ombre treatment for a stunning effect on her project, Tech Week. It pulls the whole page together! 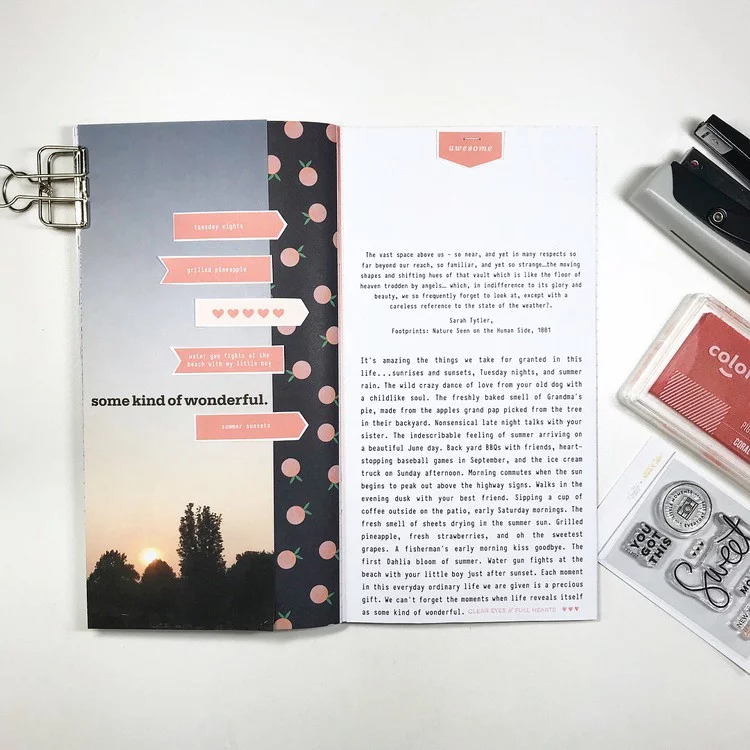 On her spread, Fall Top Ten, Haley combined both the Tucker Alpha and Top Ten stamp sets to create a layout highlighting her favorite things about the season. We love the pop of color she gave to her title! Celebrate your favorites! 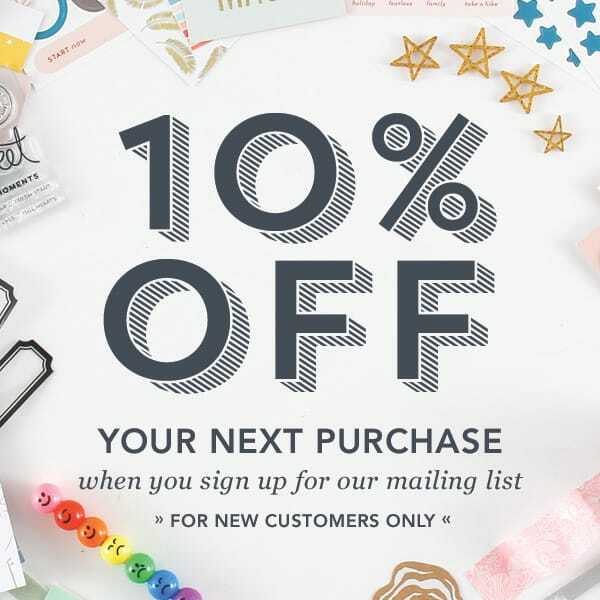 Record your Top Ten with the perfect stamp set to match. From movies to books and vacations to holidays—the top ten possibilities are endless! Kelly let the Top Ten stamp set prompt the journaling for her project, Top Ten. This set is great for helping you get your story down on the page! On her project, Here With You, Lisa stamped the pattern strip from the Top Ten stamp set in rainbow order down her page to create the perfect backdrop for her photo. A few phrase stamps mixed in complete her look. Maggie embellished her spread, Craft Fair, with a few phrase stamps and the simple smiley face stamp from the Top Ten set. We love the simple yet stunning result! Marcy added a simple stamped element from the Top Ten stamp set to her project, Top Ten. 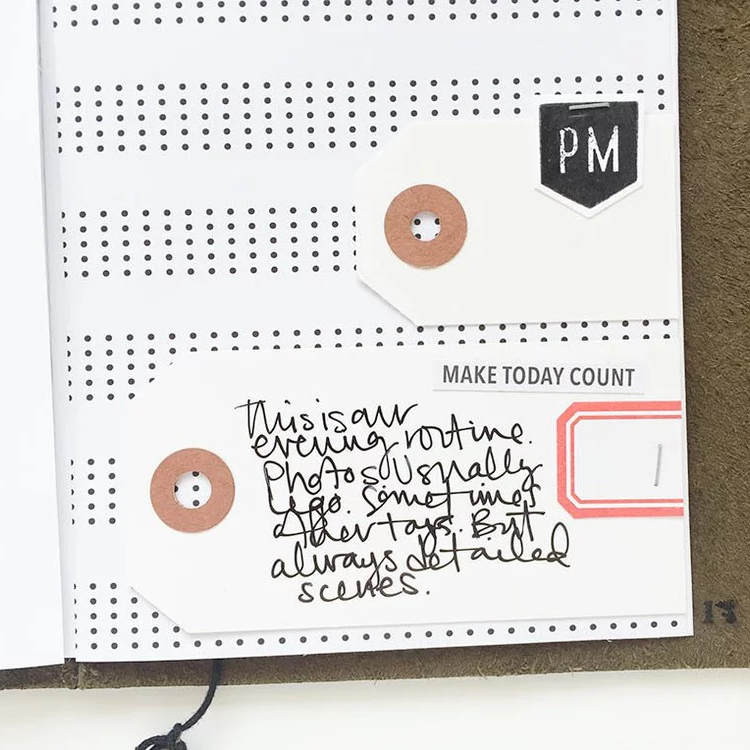 It's a great low-bulk embellishment to add to her notebook. 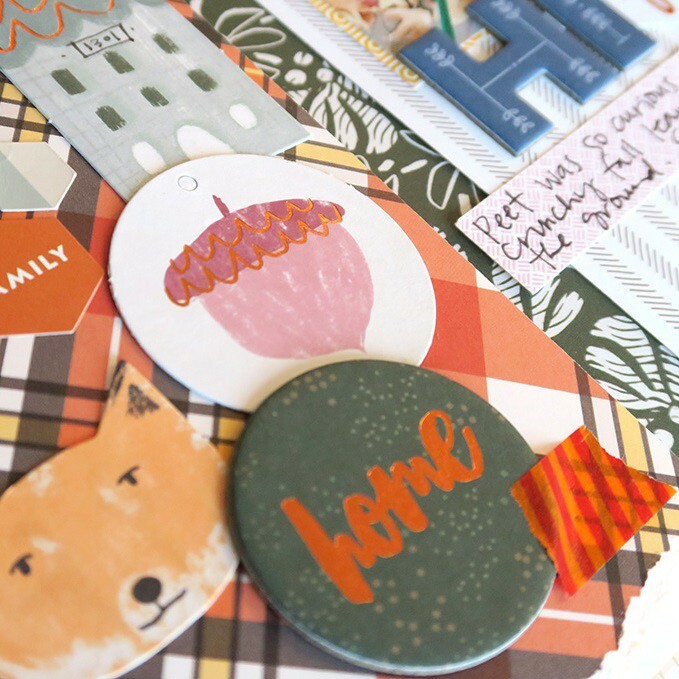 On her spread, Fall Faves, Lisa listed out her favorite things about the season with the help of the Top Ten stamp set. This idea would be great to repeat for every season of the year! Thanks for doing this! Just yesterday I was trying to figure out which stamps were this month’s add ons, (I was traveling during release and missed out on all the news and excitement ).